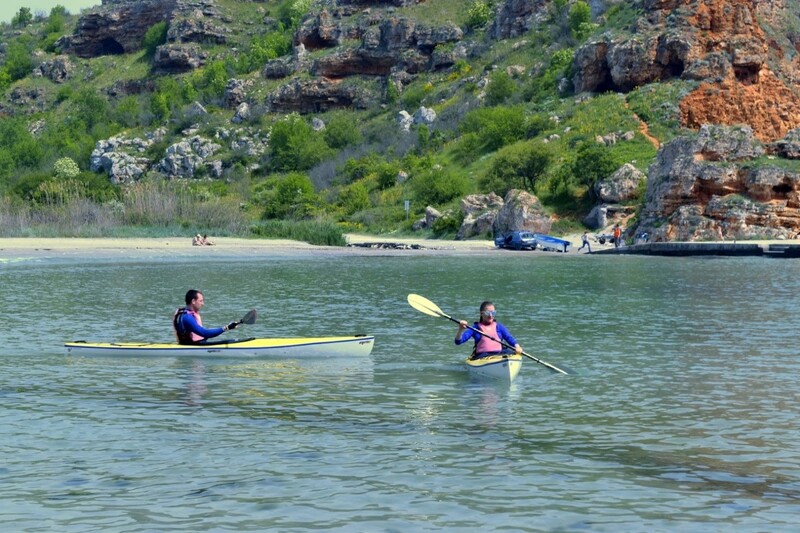 Our trip to the Northern Bulgarian Black Sea coast included kayaking. 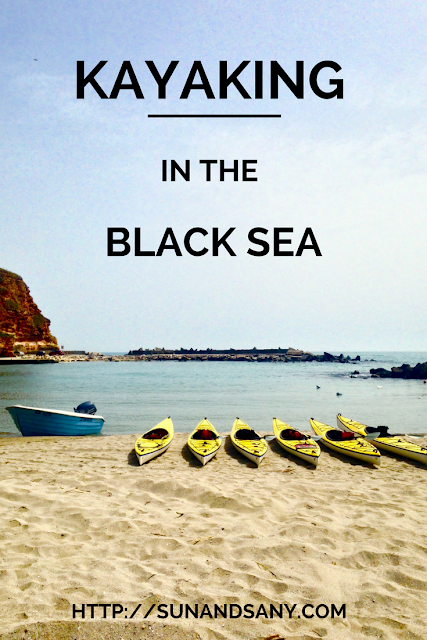 My debut was in the waters of the Black Sea. A colleague of mine told me that it’s not easy and I should be very careful. I was scared of course and I felt a bit unsure. In the end, I was happy that I tried something new and exciting. 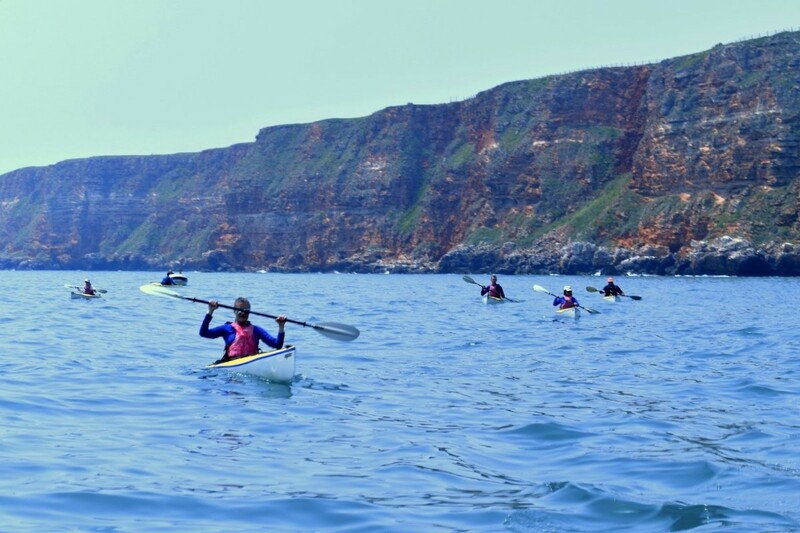 If you’re planning a trip to the seaside in Bulgaria but you want to do something different, I think you should try kayaking as well. Our starting point was the beach “Bolata”. We met with our instructor Galin there at around 10 a.m. Everything was prepared and patiently waiting for us. The kayaks were placed on the sand one next to each other. Galin gave us instructions how to paddle and what to do in the water, after that he gave us the equipment. 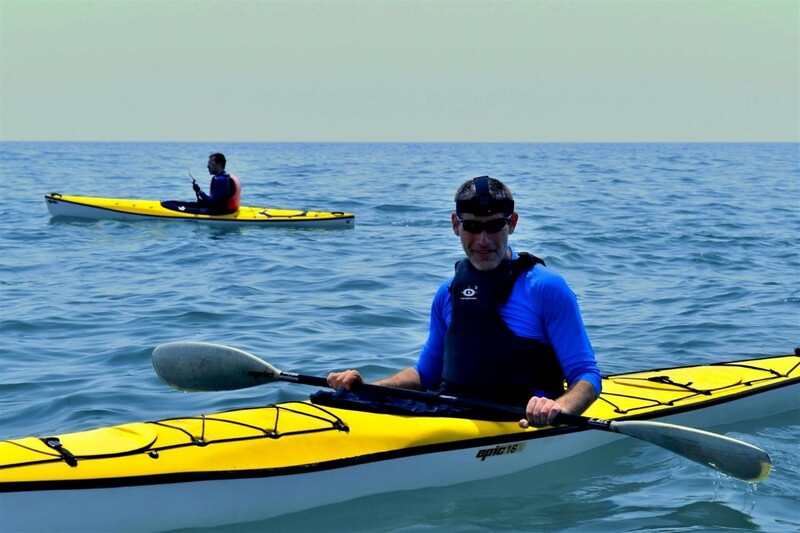 I was one of those who had never ridden a kayak before. It was no surprise that the most important thing was the balance. To get into the kayak, I had to hold it with both hands. Then I placed my right leg into the kayak while the other foot was on the ground. The paddle should be on the line of your shoulders and your elbows should make a 90-degree edge holding the paddle. Paddling to the left or to the right defines your turns. 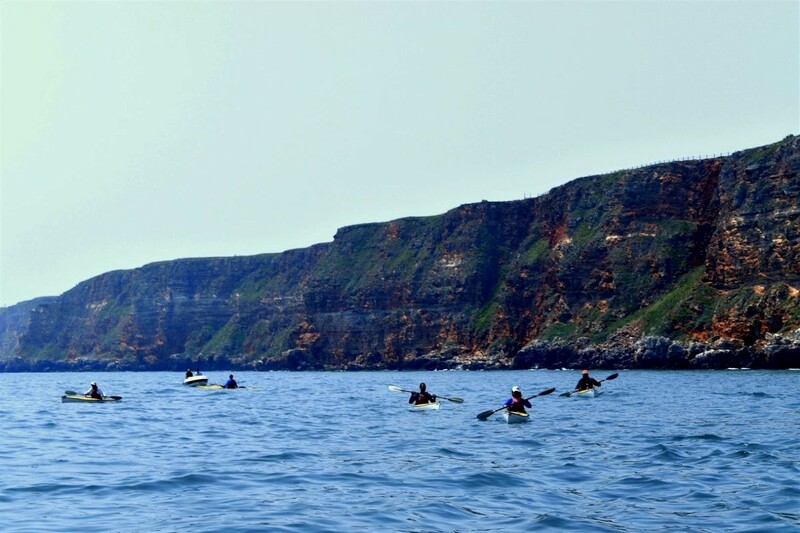 We paddled in the Bolata bay around 30 min until we got used to it. After that Galin asked us if we were ready to get off the bay. We said yes and we sailed away. The rest of our group that was not in the kayaks, were sunbathing in Krasi’s boat drinking cold Cuba Libre cocktails. We passed the red cliffs above us, meeting jellyfish and cormorants on our way. Unfortunately, we didn't see any dolphins that day, but Galin said they could be seen. I thought kayaking was paddling all the time, but I was wrong. Actually, when we felt tired from paddling, we stopped for a rest and chat. After an hour and a half, we reached a private beach where we stopped for another rest and switch with those from Krasi’s boat. 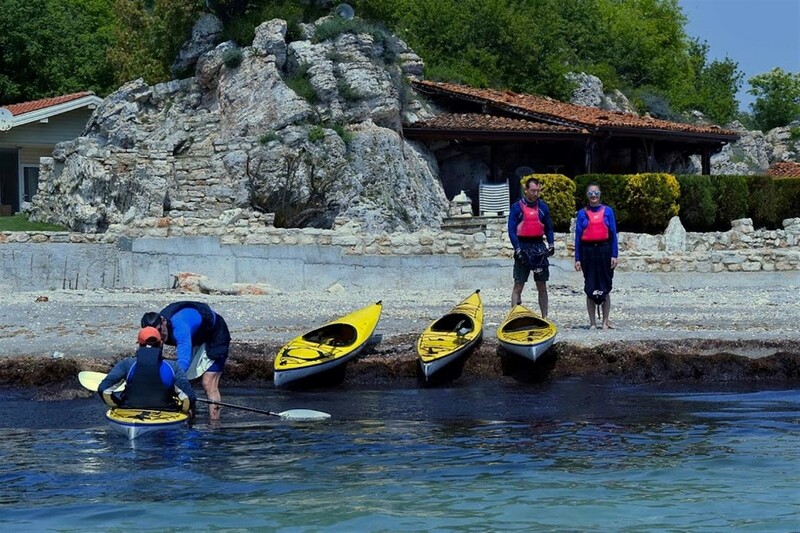 I had a chance to get into the boat too but I decided to get back to Bolata beach with the kayak. Kayaking was not that difficult as I thought it was going to be. Our instructor Galin explained that if I was more experienced, my arms wouldn’t get tired so quickly but for a beginner, it was just normal. Besides that, I think driving a single kayak is perfect for the first time. Keeping the balance was the main goal and I think I managed to achieve it. Thanks to our instructor Galin who was constantly motivating us, I felt secure. I strongly recommend his services because he will make you feel sure and motivated. 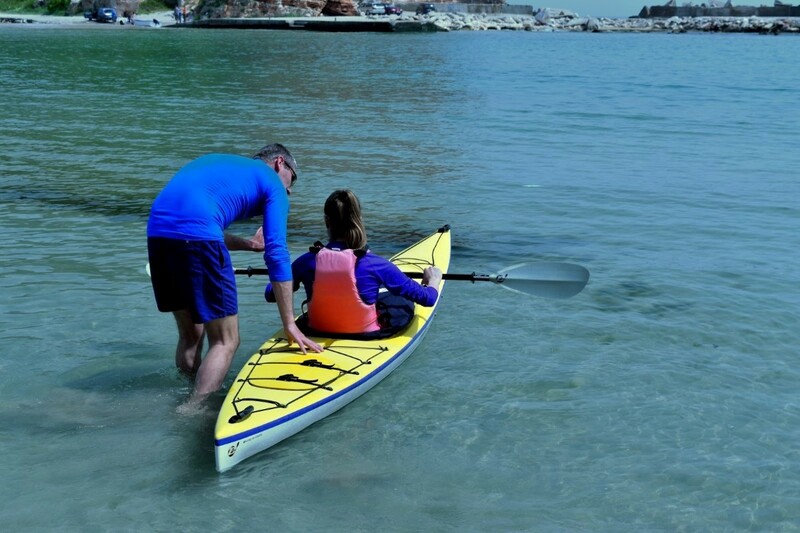 Moreover, the fiberglass kayaks are lighter than the plastic kayaks, and you get carbon paddles. 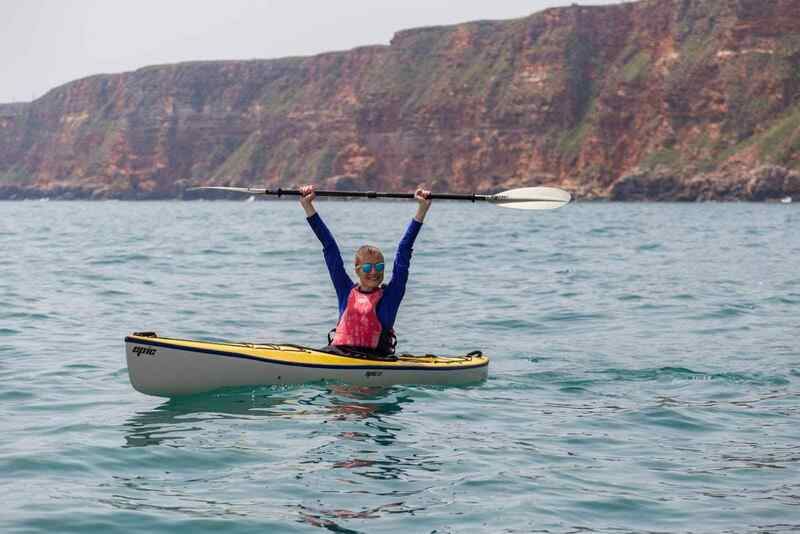 I’m happy I tried kayaking and I am sure I will do it again anytime soon. What I liked the most was the security I felt while I was having fun in the water. Amazing post and expérience ! 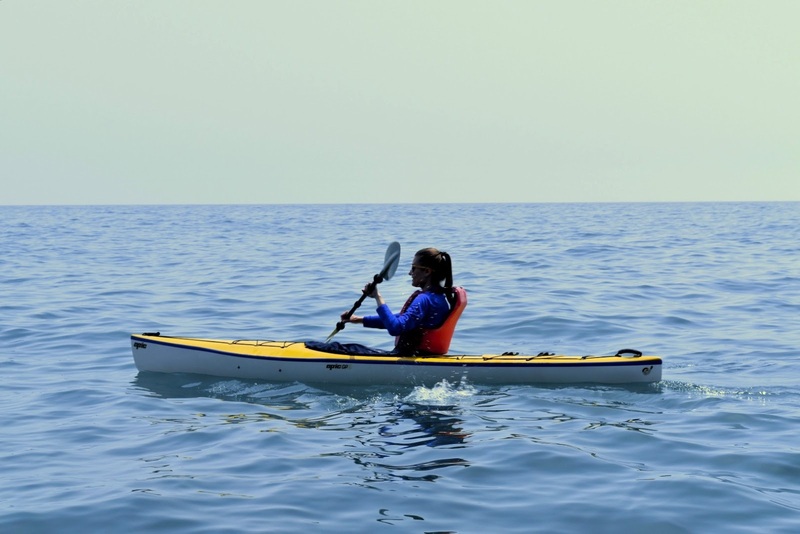 I would love to test the Kayak great sea & landscape too! Hello, Helena! Indeed it was a wonderful experience. You should try kayaking, I am sure you would enjoy it. Very exciting and brisk. Good for the courage. You really want to try it? Then go for it, Lilli! I am sure you have many options to do it in Sardinia. 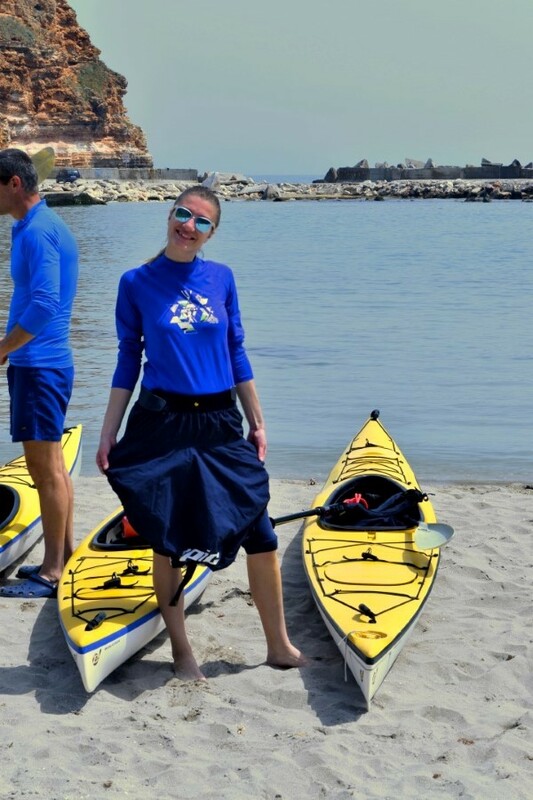 Wow that's really cool that your first kayaking experience was on the Black Sea! I've always heard that kayaking is not as easy as it looks. It certainly sounds like you rose to the challenges and had yourself quite an fun adventure Sany! I would imagine having a good instructor really made it better. Happy weekend to you my friend! Yes, right? I also thought it was not as easy as it looks, but having a good instructor is the key to success. Looks like so much fun! I have never done kayaking (only canoeing) but would definitely give it a try. I haven't tried canoeing yet. I bet it is also as exciting. I've always wanted to try kayaking as I love being active and trying new things. Good thing you went for this fun adventure. It would have been even more spectacular if you had seen the dolphins. Maybe next time.